Today’s readings are from Exodus 28, John 7, Proverbs 4 and Galatians 3. Exodus 28 deals with those who would serve in the tabernacle–the Aaronic priesthood. First, is the appointment of Aaron and his sons to minister as priests before Yahweh (28:1-5). Then, the instructions for making the priestly garments (28:6-43). The “ephod” (a transliteration of the Hebrew word) was the most important and outermost garment of the high priest (28:6-14). It was an apron-like piece of clothing, made of “gold, of blue and purple and scarlet material,” that fit over his robe (vv. 31-35). The breastplate (28:15-30) had 12 jewels which represented the 12 tribes. “The purpose of the breastpiece was ‘for making decisions’ (v. 15). The Urim and Thummim, deposited in the pouch, were sacred lots used as the ‘means of making decisions’ (v. 30). The word ‘Urim’ begins with the first letter of the Hebrew alphabet and ‘Thummim’ begins with the last letter, so the lots were probably restricted to giving either positive or negative responses to questions asked of them. Strengthening that likelihood is the fact that the phrase ‘Urim and Thummim’ is best translated into English as ‘curses and perfections,’ meaning that if ‘Urim’ dominated when the lots were cast the answer would be no but if ‘Thummim’ dominated the answer would be yes. Next described was the robe (28:31-35). The high priest also wore this garment, on which the ephod vest and attached breastplate were both fixed in place. It was his basic outer garment, made “all of blue,” over which he put the ephod. It covered him completely, so that his natural nakedness was not exposed (cf. Gen. 3:21). A plaque (“plate”) “of pure gold” was attached to the front of the high priest’s turban. It bore the engraved words: “Holy to the LORD” (28:36-38). The tunic, turban and sash (28:39) completed the high priest’s wardrobe. The “tunic” was an undergarment, the “turban” covered his head, and the “sash” served as a belt. All of the coverings of the priests reminds us that God wanted no display of the flesh in His presence, in service to the Lord. John 7 begins with a description of the unbelief of Jesus’ own brothers with regard to His Messianic identity (7:1-9), then slipping secretly into Jerusalem for the feast of booths (tabernacles) and dedication (7:10-10:42). Controversy was stirring around Jesus (7:10-13) so Jesus taught about His authority (7:14-24), His origin and destiny (7:25-36) and then promised the Holy Spirit (7:37-44). This chapter concludes with the unbelief of the religious leaders (7:45-52). Proverbs 4 is another encouragement to value and pursue wisdom as the ultimate treasure. It is THE MOST IMPORTANT THING! Proverbs 4 again presents the youth with two paths—the way of foolishness and wickedness over against the way of wisdom and righteousness. Every part of us is to be given to wisdom (heart, tongue, eyes and feet). Picture a mountain with a road on top, this road is primarily straight. But frequently there appear to be exits off of this straight and narrow way, down to paths that lead to promised pleasure and riches and popularity. These are traps. Because the paths are crooked, we cannot see the dangers that lie behind the promises. This is what the father is trying to teach his son. Don’t just take things at face value. Don’t believe every promise you hear from this world. 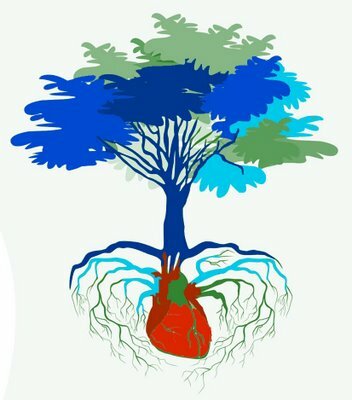 The heart is the reservoir, and change must begin there. If the reservoir is polluted, it does no good to fix the pipes and the valves. For the Christian to keep his heart… means for him to pay close attention to the direction in which his affections are moving, to discover whether the things of the world are gaining a firmer and fuller hold over him, or whether they are increasingly losing their charm for him. Watch the direction in which things are moving in your heart. Keep your heart with all vigilance. What am I believing about God right now? Am I constantly giving thanks? Am I giving in to condemnation? Am I casting my cares on God? How am I interpreting my life? Am I being attracted to any sin or the world? Guard what goes into your heart. Preach the gospel to yourself every day. I am a great sinner, but I have a great Savior. Galatians 3 expressed Paul exasperation over the Galatians’ return to the law. 1 O foolish Galatians! Who has bewitched you? It was before your eyes that Jesus Christ was publicly portrayed as crucified. 2 Let me ask you only this: Did you receive the Spirit by works of the law or by hearing with faith? 3 Are you so foolish? Having begun by the Spirit, are you now being perfected by the flesh? 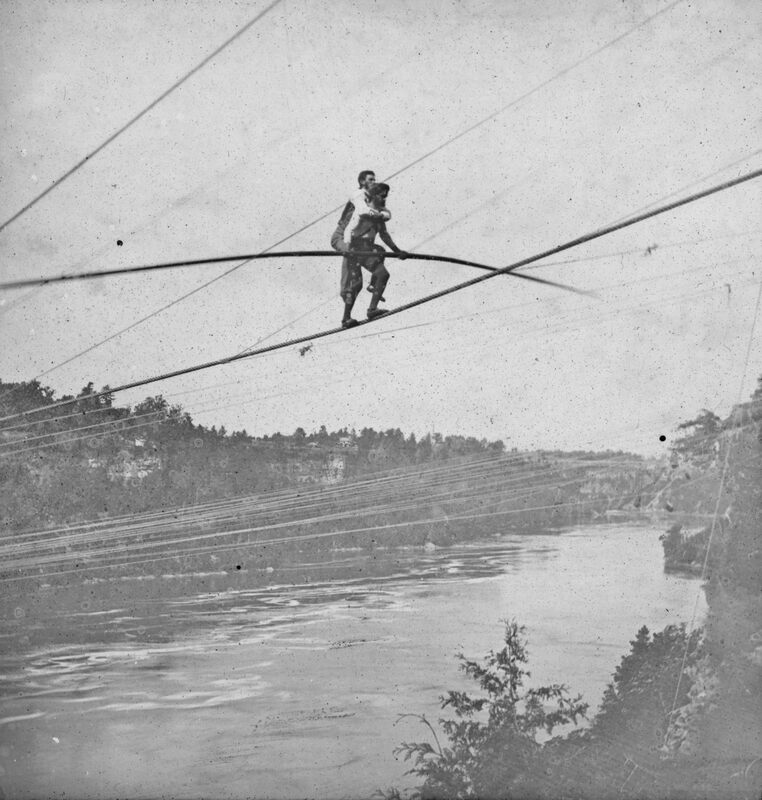 In 1859, the famous tight rope walker Charles Blondin carried his manager, Harry Colford, across the Niagara River on his back. Imagine if Harry had decided halfway across: “I think I’ve got this. Put me down and let me try it.” How foolish it would be to trust in his own (best) efforts. The only safe recourse was to trust in a superior power. Whether it is salvation or sanctification, we do not depend upon ourselves, even our best performances, but on the Holy Spirit. Both verse 2 and verse 3 speak of the Spirit. But there is a difference in the question that is asked. Asks about the initial entrance of the Spirit into the believer Asks about the continuing sanctifying work in the life of the believer. Paul then (3:6-9) directs their attention to Abraham, the father of faith. For him, righteousness came through faith, not works. Now (3:10-12) Paul moves from the example of Abraham to look at the failure of the Law to provide salvation. Lesson of Abraham: He was justified by faith and apart from circumcision. Lesson from the Law: No one is justified by the Law before God. Abraham and those who follow him are blessed and are a blessing to the world. Those who attempt to be justified by keeping the law are under a curse. But there is freedom in Christ (3:13-14). Dear friends, are you living by faith upon the Son of God? Are you trusting in God? Are you believing His promises? Some think that this is a very little thing, but God does not think so. Faith is a better index of character than anything else. The man who trusts his God and believes His promises is honoring God far more than is the man who supposes that by any of his own doings he can merit divine approval and favor….I never had a better idea of believing in Jesus than I once had from a poor countryman. Speaking about faith, he said, “The old enemy has been troubling me very much lately, but I told him that he must not say anything to me about my sins. He must go to my Master, for I had transferred the whole concern to Him, bad debts and all.” That is believing in Jesus. Believing is giving up all we have to Christ and taking all that Christ has to ourselves. Our faith is based upon covenant promises, not upon law performance (3:15-18). In 3:19-29 Paul presents a “before and after” picture of what happened to those Galatians who are saved. To shut all under sin (2:21-22). To bring us to Christ (3:23-24). A position as an adult son (3:25-26). A baptism in Christ (3:27). A bond of unity (1:28). The law shows us a need that only grace can fill. Theodore Roosevelt, Jr. grew up under the shadow of a large man. His father was the hero of San Juan Hill and the President of the United States. The pressure to excel often caused him problems, but Teddy, Jr. went on to be a highly decorated Brigadier General during World War II, receiving the Medal of Honor for heroism. He was also the Governor General of the Philippines, Governor of Puerto Rico, and Assistant Secretary of the Navy. The indifferent woman at the ticket window was not impressed by the sailor’s sense of urgency, “There’s a war on, you know,” she rudely replied. Sons of God. What a marvelous name! This is what the Bible calls everyone who trusts in Christ. Do you sometimes forget you have the rank of a son? Today give thanks that you have been bestowed with this highest rank.